The Woodland Mills bandsaw blade sharpener is fully automatic. 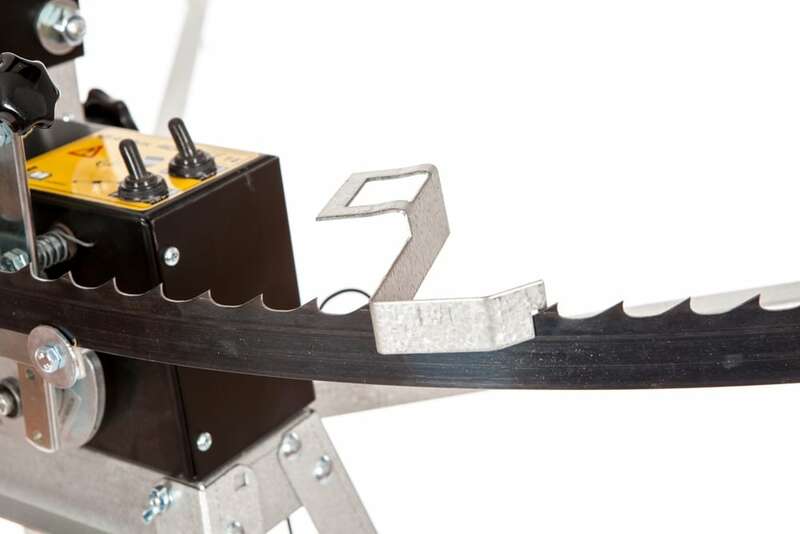 It is powered by a 12V battery, so the sawmill blade sharpener can be used in remote areas. Batteries not Included. 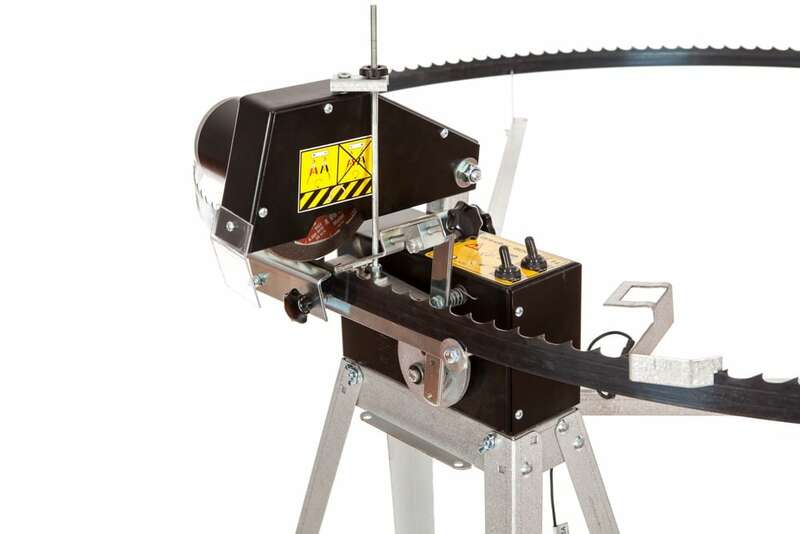 The Woodland Mills bandsaw blade sharpener is a fully automatic sawmill blade sharpener. 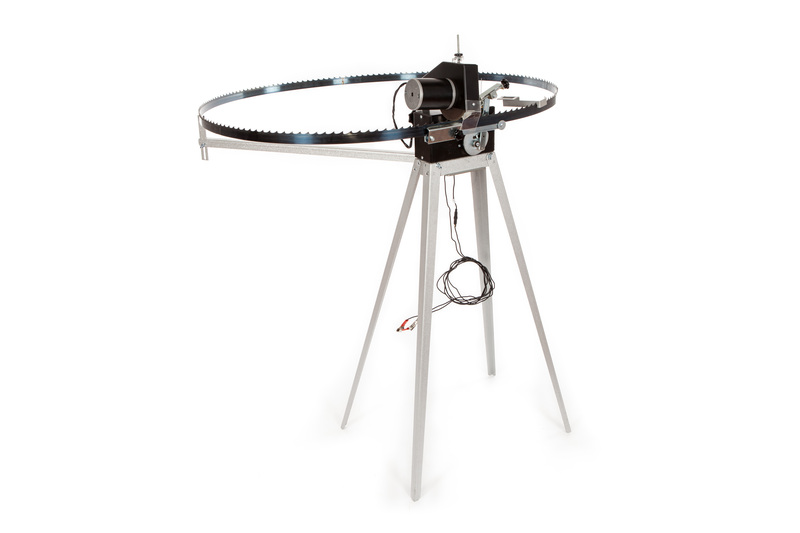 It is powered by a 12V battery, so it can be used in remote areas. The feeder arm advances the blade forward automatically while the cam actuated grinding disc sharpens the face and gullet of the tooth. The blade bracket, which is fitted to the blade, will automatically turn the machine off after the entire blade has been sharpened. The sharpener can be adjusted for tooth rake angles of 7, 10 and 14 degrees. The gullet depth and take off can also be adjusted allowing 1.25″ – 1.5″ (31mm – 38mm) wide blades with tooth spacing (pitch) of 3/4″ – 1.25″ (19mm – 31mm) to be fitted to this sharpener. Bandsaw blades will last longer if they are sharpened after approximately 2-4 hours of milling time and before they become too dull. Pushing dull blades through logs, will cause very small stress cracks to form in the gullet of the tooth. These stress cracks can eventually grow, causing the blades to break prematurely. However, if these cracks are ground off before they get too long, the crack can be removed, extending blade life. It is suggested to let sharpened blades rest at least one day in order to let the steel recover. 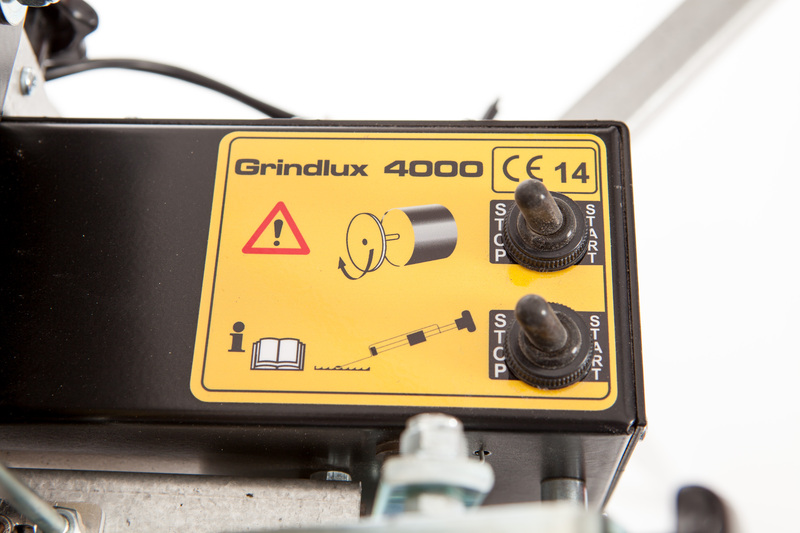 Grinding off 0.004″ – 0.008″ (0.1mm – 0.2mm) every time you sharpen the blade, should allow the blade to provide a life of 4-6 sharpenings.